Sometimes "reality" does not meet expectations. 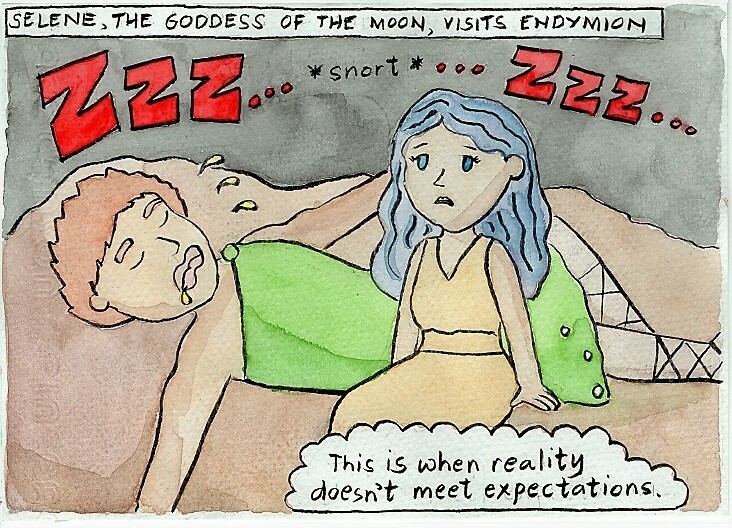 Selene is the Goddess of the Moon and she had a crush on Endymion. 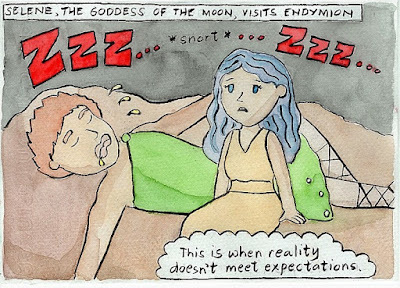 She asked Zeus to let him sleep forever in exchange of eternal youth (in other stories, it was Endymion who asked this). And so Selene visits Endymion every night while he sleeps, contented with just having a glimpse of his "beauty".